The red line or the brown line can get you close to Tanta. 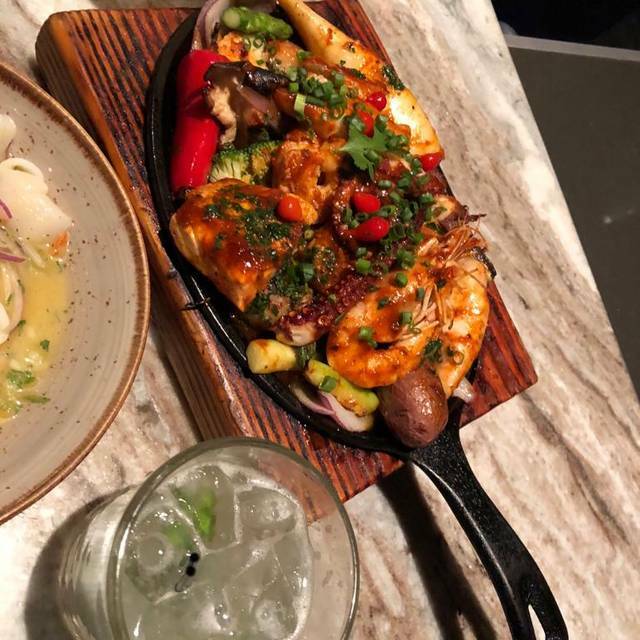 Tanta is dedicated to sharing the flavors and culture of Peru with Chicago, serving authentic Peruvian dishes and beverages in an approachable, fun and casual downtown setting. We provide service that is casual yet knowledgeable, genuine and attentive, utilizing locally sourced products and vendors that are sensitive to sustainable farming and fishing. Tanta has two Chef’s Tables that each seat up to 10 people. These tables are located in our main dining room in between our open kitchen and cebiche bar which allows you and your guests to experience our chefs creating Peruvian cuisine while you dine. The menu, created by Acurio and Tanta Chicago Chef Jesus Delgado, takes diners on a voyage through Peru via its food. From the Pacific Ocean, through the Andes, to the desert, to the Amazon, Tanta celebrates the diverse landscape and ethnicities that make up Peru’s culture. $22. The spirit of japanese sashimi - peruvian style! Excellent service and the food was wonderful! Highly recommend. Excellent Service !! All perfect !! Superb interpretation of classic Preuvian cuisine. Tried a bit of everything and it was excellent! Four of us had a delicious dinner at Tanta. 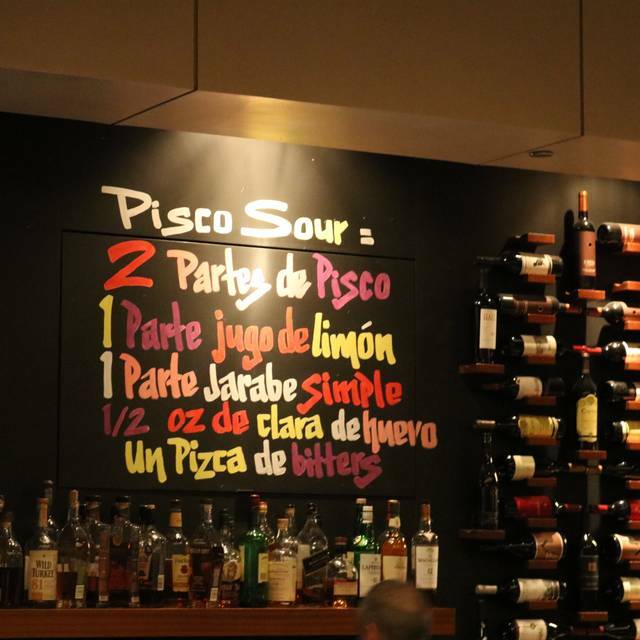 Our server was very helpful in explaining the menu since we were unfamiliar with Peruvian cuisine, and he waited while we visited for a while before looking at the menus. The table was served corn tortilla chips with a delicious salsa. We ordered the limeña causita, the carretilla cebiche, and other first courses, and I thought the cebiche was the star of those dishes. We ordered two beef dishes and two fish dishes for our main courses, and all were delicious. The two fish dishes included potatoes and mixed shellfish in aromatic, richly flavored sauces. We were quite full but the four of us shared one chocolate mousse that was very rich and delicious. The room was fairly noisy, but we were seated near a table of 8-10 people, and large tables are usually louder. Peruvian cuisine is fascinating and delicious, with a combination of indigenous, Japanese, Spanish, and Chinese roots. Fabulous ceviche, broad selection; I ordered enough different ceviche or related small fish/seafood items as appetizers that I had no room for an entree - and the flavors and textures were wonderful. Very good service. One of my 'go to' restaurants in Chicago - thank you Peru for developing such a wonderful cuisine ! The service and food at Tanta was outstanding! We had never had Peruvian food and our server helped us navigate the menu and find something we truly enjoyed. Never had to pour water into our glass, food was plentiful and so delicious, table was ready exactly at our reserved time. The only downside was the noise. Food was mediocre. Not as good as I expected for the neighborhood. Very creative menu and lovely service- the food was amazing! Incredible food. Amazing flavors. Very inventive cuisine. Service was impeccable. Great space. Loved it. A must on any foodies list of Chicago restaurants. Great place for a date if you are looking for a busy city vibe. Typical loudness that you would experience on Saturday night. Food is good and the menu offers a nice variety for everyone. I brought by fiance there for her birthday. Big hit. Awesome from the point of check in thru departure. Great drink selection. Food superb. Servers excellent. Manager super awesome. Highly recommended. 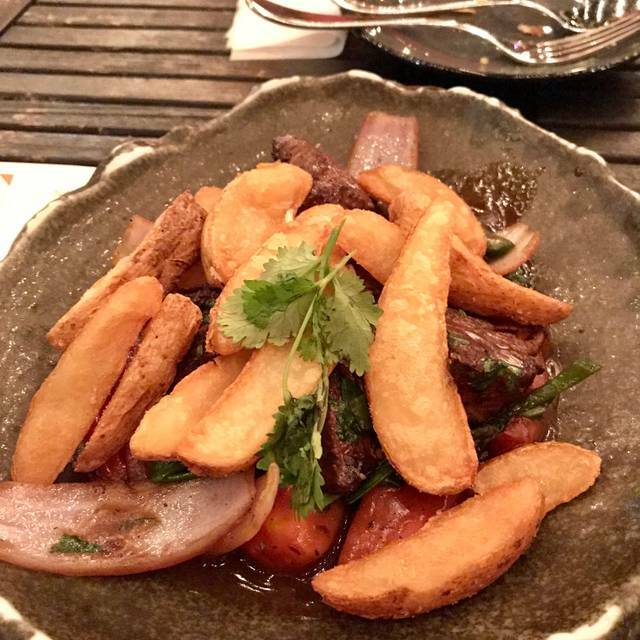 Fantastic dining experience, started off with the Criollo ceviche, wife had the Tallarin Saltado and I had the Adobo, both were made to perfection. Service was very friendly and prompt, thanks Enrique, and the cocktails were of course, outstanding. We were about fifteen minutes late for our reservation thanks to traffic but we were able to get seated right away and everything was perfect. Will be back for sure. Our food was amazing and our server was fantastic! Highly recommended for a date night or night out for dinner with friends! We have been to Tanta a few times and we have never been disappointed. 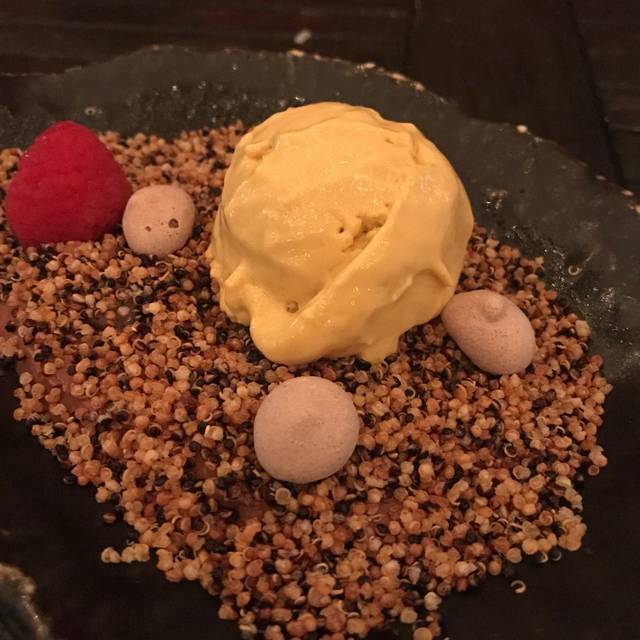 The best ceviches, cocktails and dessert. Our server recommended some fabulous seafood dishes. Everything was delicious. 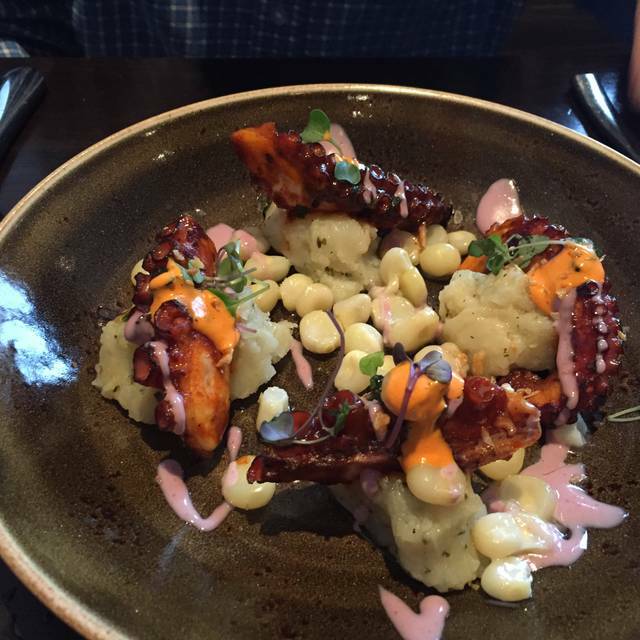 The grilled octopus is one of the best dishes I’ve ever had. This place was great. Would definitely go back as well as recommend it to ppl. I cannot say anything but good things about my experience at Tanta. The food was amazing, the specialty drinks were amazing, the staff was welcoming and attentive, and the restaurant itself was beautiful. If I ever am back in town, I will be returning. We started off with the cebiche flight. 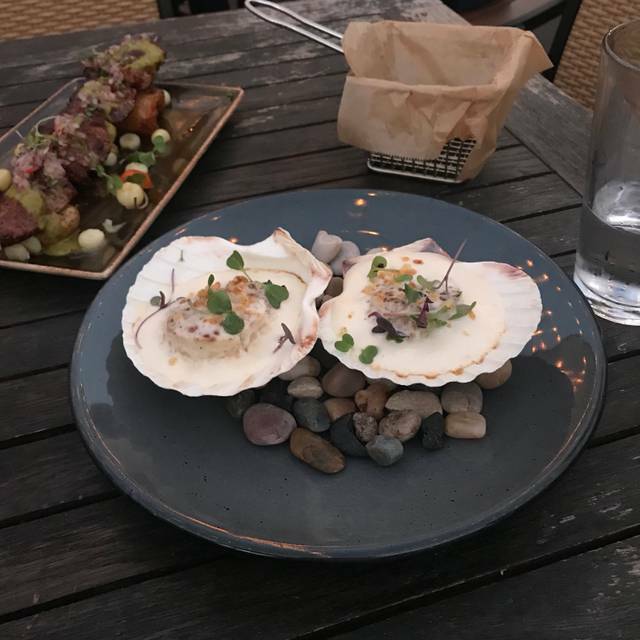 I know that it's an appetizer, but I felt the portions of each tasting were small and each had minimal fish for the price of an entree. The flavors in this were good, not great. Each of our main entrees, however, were the stars of the night. I had the salmon tanta, and it was definitely the best salmon I've ever had in a restaurant. It was so light, airy, and flaky. It was cooked perfectly, not dry, very moist. Keeping in mind that the restaurant is Japanese-influenced, I could best compare the sauce in this dish to a peanut sauce from Asian cuisine. I can't remember the name of the dish my boyfriend had, but it had beef tenderloin in it and he also raved about how tender the meat in his dish was. He also compared the flavor in his dish to a Mongolian beef. We were celebrating his birthday, and ordered a dessert, that also came with another complimentary birthday dessert and a candle. Our server was attentive, but also let us enjoy our meal. We sat at a table for two, which are in rows and quite small, so I'd recommend requesting a booth in your reservation if you want the space. Noise level is loud here, because of the music, so having a conversation can be difficult. Overall, we had a great time and were satisfied in trying Peruvian cuisine for the first time here. The food was outstanding Peruvian-Asian fusion. The service was prompt and very knowledgeable about the menu. Everything was fantastic! Food, drinks, service and ambiance! Can’t wait to go back. Price of food was completely worth it. Excellent food flavor, presentation and diversity of offerings - typical Peruvian fare. 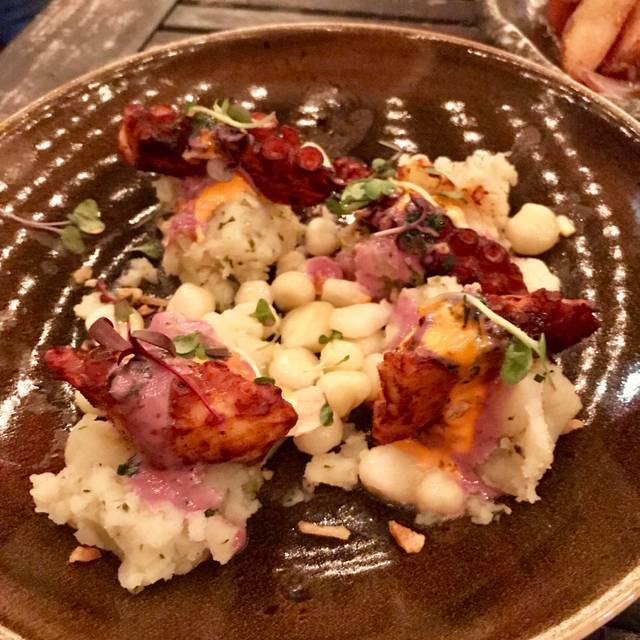 Would NOT recommend for 1-2 diners, but rather groups of 4+ - so many different sharable dishes to try, more worth the time and visit to share multiple plates across a table versus individual dining. Second time at Tanta, and it was amazing food and service!! Our waiter recommended the new ceviche after asking if we like spicy and it was delicious! I had an outstanding meal at Tanta on Monday. Great food, and efficient and friendly server who was not shy about making (great) recommendations on menu selections. Food was fabulous, server was more then sub par. He kept disappearing for 20 minutes at a time. Our drinks took 20 minutes. He never asked to explain us the menu so we had to grab another server to ask questions. We ordered an appetizer and he went to walk away when we had more to order. Would really like to go back again for the amazing food, but for the price you are paying service needs to be on point. Unsure if we will be coming back. Fantastic vibe, delisious food and cocktails! Love this place! My second visit to Tanta and it was every bit as outstanding as I remember. Everything we ordered was perfect, and everyone should try the cerviche tasting! Three very different cerviches, all outstanding. Highly recommend Tanta! It was tasty and awesome! Everything was amazing! Excellent service with great recommendations. The food was delicious and it was great to try food from a new culture. We started with the waygu “sushi” which was the perfect starter bit. We shared the octopus skewer and the octopus portion was very generous and delicious! We then shared the rice and seafood main course and my husband could not stop raving about it! The food was fabulous. The service was perfect. There’s a very fun and easy going vibe. What an amazing find downtown! Need to come back to try more things on the menu! So delicious! Tanta truly was a unique dining experience. 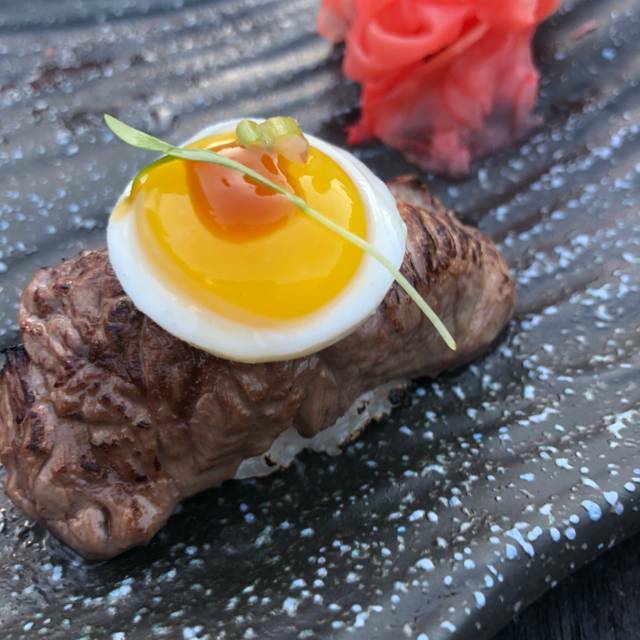 The integration of Peruvian and Japanese flavors work very well. The ceviche sampler, steak skewers, and chicken empanadas were fantastic small plate starters. The flavors were amazing. The steak large plate also was quite tasty. This was my first time in Chicago, and I definitely would like to try Tanta again on future trips. Our dinner at Tanta was one of the best I have had in ages! The Chicken a la Brassa was killer, as were the empanadas and drinks. Trust the waitstaff, if you aren’t sure what to order. They steered us well on every item. Tanta ofrece un alto nivel de calidad. Los sabores son explosivos y la atención muy especial. Leche de tigre (“tiger mik”) is definately worth coming back for. Unfortunaly, the were in short supply this evening. This was a hit with my team members who are in from Europe. Such amazing food and cocktails and service. Will definitely be back. Thanks, Tanta! I ordered different glasses of wine during the meal. For each varietal, she let sample from a selection of what they had before choosing. Very nice. The wagyu beef (pobre) and octopus (pulpa) are recommended for a start. I'd die for another mouthful of the adobo pork shoulder.